Search: Enter your search term, i.e. a part of the group name. The default text in the field shows you in which institution context you perform your search. 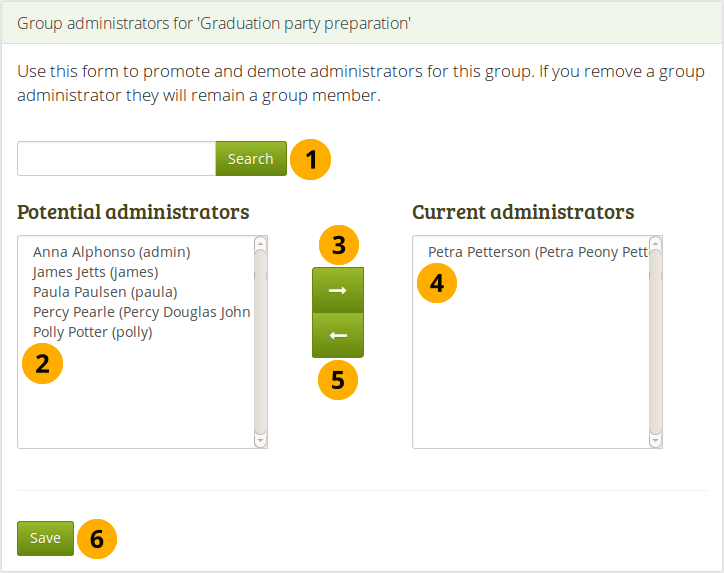 Use the drop-down arrow to choose a single institution in which to search for your group. Short name: The group’s short name is displayed. Every group has a short name and can be managed via a CSV file in bulk. 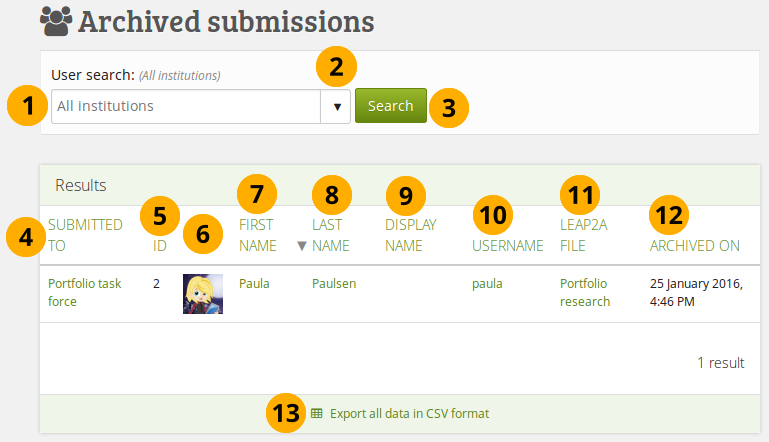 In Mahara 16.10 all groups, also those created manually, received a short name and are associated with an institution in order to allow for their management via CSV file. That data is also added to existing groups. to receive a CSV file with information about all members. You can use that file to make changes to the group membership and upload it again. 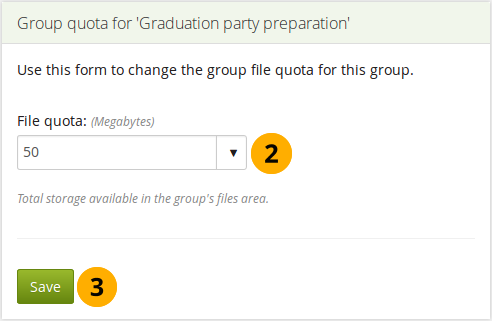 to duplicate a group. The group’s files, journals, pages, collections and group settings are copied. Group membership and forums are not copied. 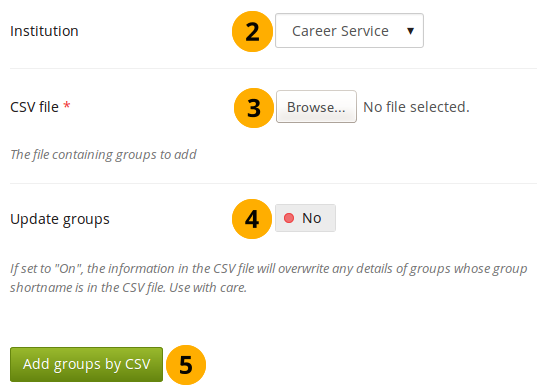 Export groups in CSV format: Click this link to generate a CSV file with which you can change group settings in bulk. 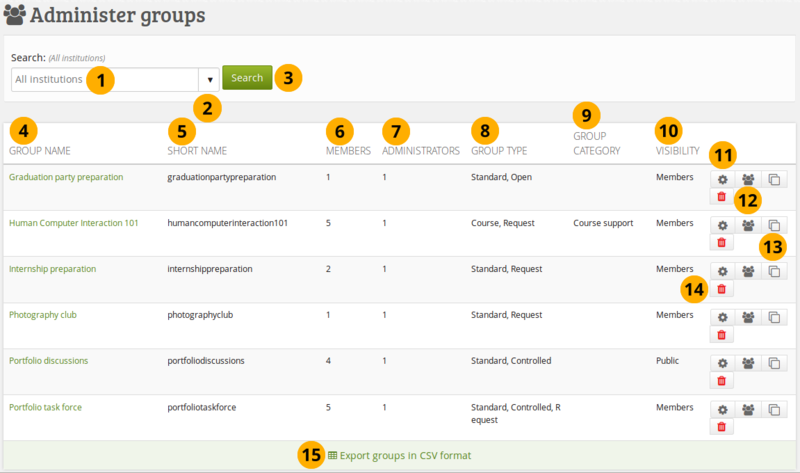 All groups shown on the page are exported rather than all groups so you can target which groups to export. If you do not have your CSV file anymore, you can download it from the Administer groups screen, make the necessary changes and upload it. shortname: This is the name used to identify this group in the database. 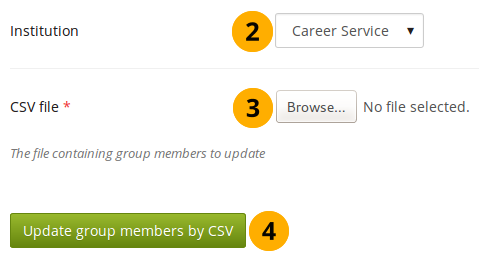 It is also used to identify the group when you add or update its members by CSV. The group shortname needs to be lowercase. Create a CSV file that contains the following fields: shortname,username,role in the first row. The short name is the group short name that you used to set up the group. Add the users that should become members of these groups. You can check their usernames on the User search page. 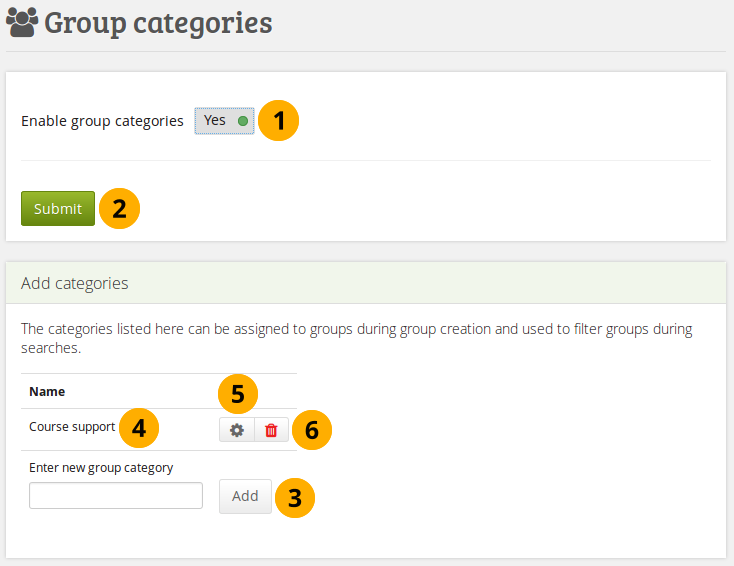 You can export the current group membership from the Administer groups screen and remove the fields that you do not need for the upload. The extra fields were added to give more context around the users.